My name is Oriol, I'm 18 years old and I live in Barcelona. This is my first year at the university, where I'm studying to be an engineer. During this period, I realized how important is to learn other foreign languages and open your mind to other cultures to grow up as a person and get influenced by different ideas and ways to live. So I decided to spend my winter holidays in Totnes, where I'm attending to English lessons in Language in Totnes and I'm also working at the Toyday toyshop. These days I'm living with a really nice native English family who takes care of me and help me with everything I need. I can practice talking with them and they make me feel more comfortable during my stay in England. Having English classes gave me the opportunity to meet other students like me, who are in Totnes learning some more English and came from different places around the world. It's a great experience talking with some youth people and trying to understand their culture and their lifestyle, as well as you can meet them and participate in some activities organized by the school or by ourselves. Working in Toyday shop is another powerful way to learn English. I have to attend customers, check all the shopping made online and keep the shop tidy to cause a good impression. That is my first experience having a job that requires to talk another language, and sometimes it's hard to understand some things, but there is always people who help you in that situations. 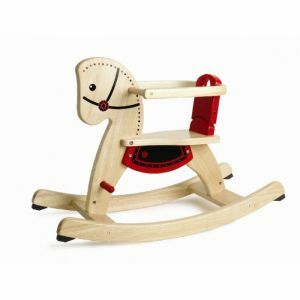 It's great to work here because I used to play with many of the toys (for example a rocking horse) I'm selling now, and it's a funny way to remember my childhood and makes me able to recommend some toys to customers if it's required. I'm really enjoying this new experience here, and I would recommend it to everyone who wants to learn more English in a way that welcomes you to the routine of the English lifestyle. It's great to hear that you share our passion for our traditional toys, and that you are having fun in our shop whilst you learn English. I am glad that you have been made to feel welcome during your stay, and hope you continue to enjoy your second week here.